Research Triangle Park, NC — The world is suffering from a global bullying epidemic. According to the 2007 Kandersteg Declaration Against Bullying in Children and Youth, 200 million children around the world are being bullied by their peers at school, on the playground or online. As a result, victims of bullying tend to miss class, perform poorly in school, experience higher incidences of depression and, in extreme cases, cause physical harm to their peers or themselves. 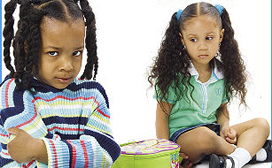 To address this problem early on , FHI 360's Educational Equity team wrote The Anti-Bullying and Teasing Book for Preschool Classrooms, (2005, Gryphon House, Inc.), and today this tool is being offered in Spanish to combat bullying on an even larger scale. With its suggestions for activities, classroom environment and family involvement, The Anti-Bullying and Teasing Book helps nurture empathy and respect in children by creating a compassionate class climate. The book features more than 40 activities designed to cultivate friendship, a sense of community and positive behavior and feelings. In 2007, the user-friendly curriculum won the Teacher's Choice Award from Learning Magazine for Excellence in Classroom Products. The Spanish translation, Una Guía de Prevención de Bullying y Burlas en Salones de Clases del Pre-Escolar, fills a gap in U.S. education for Spanish language anti-bullying materials. It is also a valuable resource for preschool programs in Spanish-speaking countries worldwide. Stepping up anti-bullying actions at this time is especially urgent because the increasing incidence of cyberbullying multiplies the impact on victims. Because cyberbullies often are anonymous, their numbers, accomplices and boldness increases. Since it is important to address cyberbullying in the early primary grades, the authors will be working with teachers, parents and young children to develop age-appropriate strategies to specifically address cyberbullying with children beginning in Kindergarten. Barbara Sprung, Merle Froschl and Dr. Blythe Hinitz, authors of The Anti-Bullying and Teasing Book, are all experienced early childhood education professionals. Sprung and Froschl are the co-directors of the Education Equity department at FHI 360, as well as authors of numerous books and journal articles on early childhood education. Hinitz is the coordinator of early childhood education and a full professor at The College of New Jersey, as well as a member of the national boards of the World Organization for Early Childhood Education — United States National Committee — and the National Association of Early Childhood Teacher Educators. Receive the latest updates from FHI 360 straight to your inbox.